This is an Iranian name that is still in existence, for thousands of years. And I believe the term "Ashkenazi" is ultimately derived from the Iranian name "Ashkan". More than 2000 years ago after the eastern conquests and death of Alexander the Great, the Parthian Empire emerged stretching from Balochistan to the Levant. 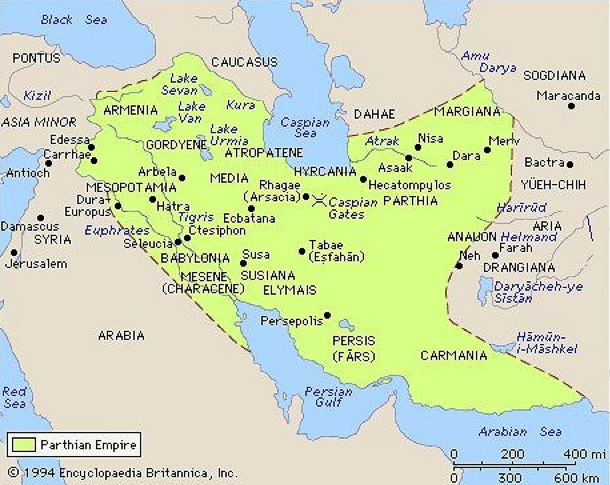 The Parthian Empire is also known as the 'Arsacid Empire' named after the first Parthian king Arsaces I of Parthia. In Iranian languages (Farsi/Kurdish), his name was Ashk (اشک) or Ashkan (اشکان) and his Parthian Empire is still called 'Ashkanian' (اشکانیان) in Iranian languages. According to the bible a 'Kingdom of Ashkenaz' existed. Together with Ararat, Minni (Mannaeans), and the Medes they prepared for war against Babylon (Jeremiah 51:27-28). It is possible that 'Ashkenazi' became a generic term for Jews who migrated northward into the Parthian Empire, given the assumed location of the Kingdom of Ashkenaz. The proposed lineage tree of the Ashkenaz is also described in the bible: Ashkenaz belongs to the "Japhetic" branch, not to the Semitic one. BTW, the Hebrew language belongs to the Semitic language family. In the bible Noah had three sons: Shem (Semitic), Ham (Hamitic), and Japheth (the rest of the known world). So, the word Shem refers to both, Noah's son and the father of all Semitic people. Gen.10 declares the following nations as semitic. "Gen10:22 The children of Shem; Elam, and Asshur, and Arphaxad, and Lud, and Aram. " Asshur and Aram refer to Assyrians and Arameans, respectively. Noah's other son Japheth had also children. 3 And the sons of Gomer; Ashkenaz, and Riphath, and Togarmah." So Ashkenaz is Gomer's son, and Gomer is Japheth's son. Gomer is regarded as a synonym for people who lived in Anatolia in that time, either Cimmerians, Gauls in Anatolia (Galatians/Celts) or people from Cappadocia, the literature has not decided yet. Ashkenaz is also regarded as synonym for Skythians or Saka. Much much later in Medieval Times, 'Ashkenaz' was the Hebrew word for 'Germany'. The ancestors of Ashkenazim may actually lived in Northern Mesopotamia for many centuries before moving into Europe, especially into the Rhineland as merchants. Given that most Ashkenazi Jews left Israel after the Roman conquest and they do not seem to appear in Europe until Charlemagne's time (800 AD), they must have lived somewhere else prior to that. 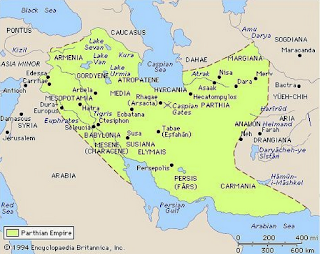 I think it is reasonable that the ancestors of Ashkenazim were Aramaic speakers who lived in the Parthian Empire. So, is it possible to see some Iranian admixture in Ashkenazi Jews of today? Here are the Top30 matches for this R1a1a Ashkenazi-Levite modal haplotype (excluding all actual Ashkenazi-Levite Jews). Within the Top30 you can find plenty Iranians including the Iraqi Kurdish individual H1483 that was also described here. The Ashkenazi-Levite modal haplotype for R1a1a Z93+ L342+ L657- may be Iranian in origin. VERY INTERESTING THEORY. The persian empires (Achaemenids, Pathians and Sassanids) had exquisite relations with jews at the time. All was ruined when islam came of course. And i don't need to elaborate on today's Persia. Parthians were not Persians. It is very silly how people use the term "Persian" as if it is a universal for all Iranian tribes. I think it very plausible that all Jews ( including the Ashkenazim ) are related to Kurds, and by extension other peoples of Northern Mesopotamia. Historical interpretations after 70 AD are difficult, especially as the biblical account places the ethnogenesis of Jews in this part of the world in the first place. I am proud to be related to the Kurds, whichever way it happened. They are a brave people with a wonderful history.